Bible – At Northpoint Christian School, we want our students to understand that they are uniquely and wonderfully created by a God that loves them unconditionally and desires a personal relationship with them. Students engage daily in classroom devotionals and prayer time. Students in JK-6th grade have chapel once a week. Additionally, students in Pre1st through 6th grade have Bible class weekly where they study God’s word and memorize scripture. English – In grades one through six, students are taught grammar skills through writing instruction. Mentor sentences allow students to notice and imitate excellent use of grammar within model texts. Additionally, students engage in work stations to enhance the concepts being taught through the mentor text. Students are involved in writing daily. NCS’s English curriculum is vertically aligned through grade 12 to the ACT. Reading – Foundations and Frameworks is implemented in grades one through six. Units are taught by isolated skill- setting, character, plot, cause and effect, retelling, etc. rather than being intertwined. This allows for a deeper understanding of story elements to take place. As students work through a unit, visual tools (graphic organizers) are used for students display evidence of comprehension. Students meet with their teacher daily in a small group setting to ensure understanding of the skill. Spelling – In grades one through four Purposeful Design’s Spelling curriculum is used to guide spelling instruction. In grades five and six, students utilize Wordly Wise, a word study curriculum in which students engage in learning about a word’s spelling, definition, use, synonyms, and antonyms. Cursive Handwriting – has lasting effects on a child’s brain development, gives students the ability to read historical documents, and allows students the ability to sign their name. Cursive handwriting is taught in 2nd grade. Students continue to utilize their cursive handwriting skills throughout elementary school. Saxon Math – is used in Kindergarten through sixth grade. Rather than math concepts being taught in isolation by unit or chapter, skills are intermixed to keep students in constant review. This prevents skill loss as students progress throughout the school year. In lower grade levels, manipulatives are used consistently to ensure thorough understanding is taking place. Science and Social Studies – are both very hands-on areas of learning. In science, students are involved in the discovery of the world God has created and our role and responsibility to care for Earth. In social studies, students are immersed in a study of past and current events both nationally and worldwide. As students learn about our world, we desire for them to gain knowledge and understanding and to use their God-given gifts and abilities to be productive members of society. All elementary students participate in STEM Labs through the school year. This is a hands-on approach involving science, technology, engineering, and math! In addition to the areas mentioned above, students in preschool learn colors, shapes, numbers, calendar skills, and patterns. They participate in center activities and whole group instruction. Our preschool program is a full day program for all levels. This class is a “gift of time” for students that do not need to repeat senior kindergarten but aren’t quite ready for first grade. A small class size ensures that students can grow emotionally, socially, and academically so they are prepared for first grade. This program is for students with learning differences and it is parallel with our elementary curriculum. The REACH department teaches the language arts and math using the same programs as the grade level. Interventions and different pacing based on the needs of the student allow for success at Northpoint. Students in the lower elementary grades will receive language arts instruction with an emphasis on phonemic awareness. The SMILA approach is used to bring meaning to written language for a student who may not learn through traditional teaching methods. In third grade, students begin to mainstream into the social studies and science areas with their respective grade level. 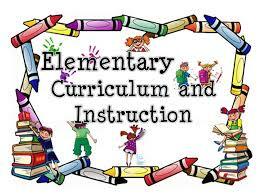 All students are included in the non-academic area of our curriculum (art, music, Bible) with their grade level. The students have lunch and recess with their grade level. In the lower grades, PE, library, computer, and Spanish are taught as a group, and the upper grade students will participate in these areas with their homeroom class. Students in fourth through sixth grade are placed in grade level homerooms and participate with that class in field trips and activities. The lower grade students attend field trips with their grade level enabling them to be a more integral part of the regular school program.